At Digital Fabrics we provide custom fabric printing services for domestic and commercial interiors. We have a great range of carefully sourced fabrics for curtains drapery, upholstery and any other interior decor essentials. Our fabrics are high quality and suitable for domestic and commercial use. They were tested and graded according to strict Australian standards. Our stock fabric selection provides us with great choices for printing custom upholstery fabrics and drapery fabrics for curtains. 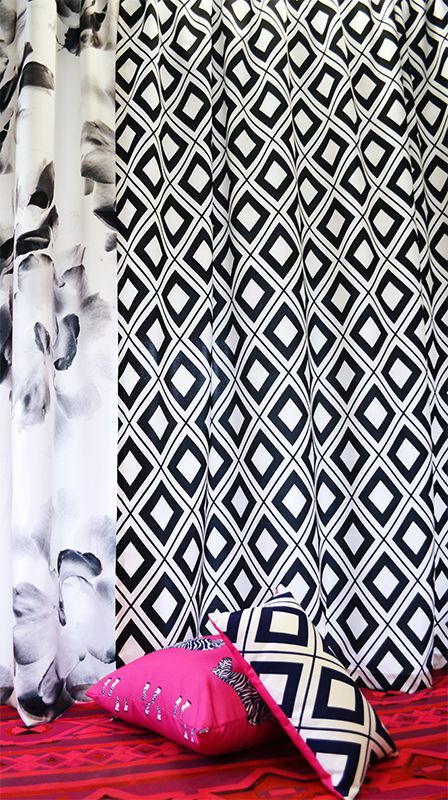 Printing your own curtain fabric and upholstery fabric is a perfect way to personalise your home or business, creating that special unique style around you. Our printing method insures the best colours and quality for your custom printed curtain and drapery fabrics. We print excellent colours using water based inks that have brilliant durability and longevity. Photographic image, statement art, promo image or a repeat we print them all on many choices of fabrics. Be it sheer drapes for a hotel grand entrance or a canvas fabric to re-upholster your timeworn chair, the possibilities are endless! We provide speedy turn around, excellent quality results! The minimum order is low and you can print as many of your designs as you like, the number of designs does not affect the price! If you don’t have your design, don’t worry, we have an exclusive range of fabric prints, pick your favourite and we will print it for you. All designs are fresh and unique, created in-house by our surface designers and artists.